Kirsten Carlson sees the world through the lens of art and science. Her detailed, precise, and often charming illustrations (especially the ones that she does for children’s books) can be appreciated on one level purely for their aesthetic appeal, for they are beautiful. But her artwork is also educational, as well-researched and accurate as a textbook illustration or a photograph might be but with an added dimension of being more accessible and relatable. To see the works of this scientist artist is to learn about nature, and to connect to the creatures and other elements of nature depicted in her works on an emotional and human level. 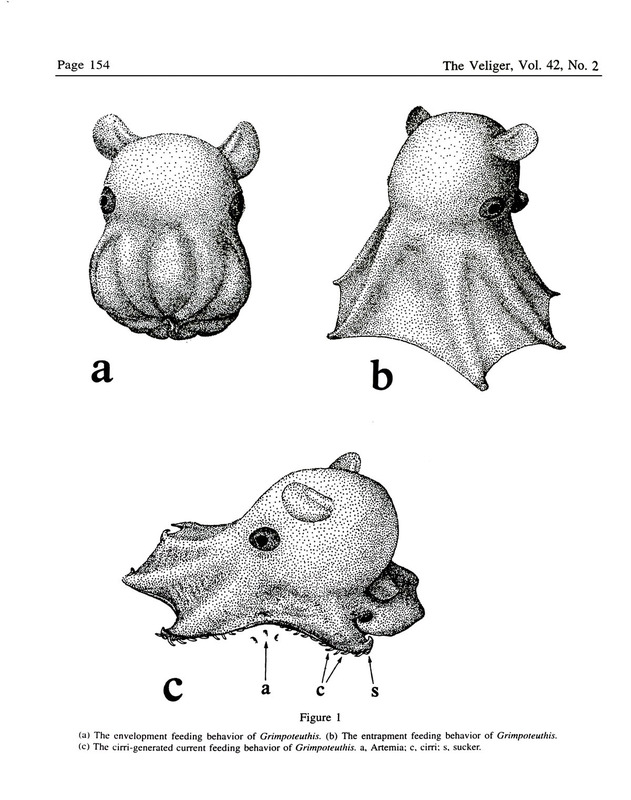 How does a Grimpoteuthis, also known adorably as a dumbo octopus, eat? What do jellyfish like Tiburonia granrojo or Stellamedusa ventana look like mid-swim? What might a seal look like whilst sunning itself upon a rock populated with starfish and crabs? These are just some of the many questions Carlson answers through her artwork, which provide a view of stunning sea creatures, both great and small. What distinguishes natural science artists is not only what they are illustrating — everything in nature from the microscopic to the gigantic, from the creepy and crawly to the breathtakingly beautiful and everything in between — but the purpose of their art: to deepen our comprehension of our vast and magnificent world. 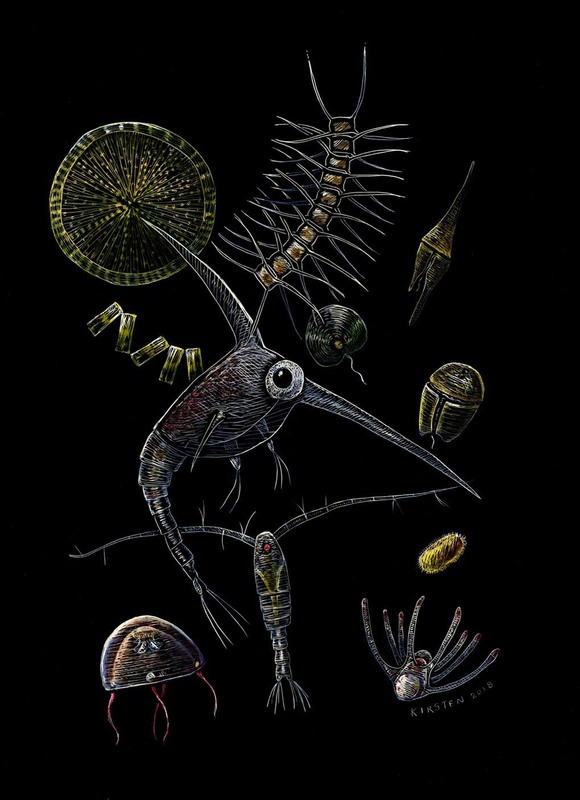 Much of Carlson’s art depicts the creatures and vibrant life in the ocean, though her work includes birds, giraffes, and other creatures not of the sea. She named her company Fathom It Studios — an apt name considering her passion for learning and for diving. Her love of nature and her love of art both began in early childhood. “I wanted to be Walt Disney when I was little,” recalled Carlson. Then, in middle school, science came into her life. She saw science as being about knowledge, and saw it as a way to connect to the world. “I wanted to be a scientist to observe the world around me,” Carlson said. “I had a desire to be objective because I loved science, but I also wanted to connect to nature.” She also became more aware of things that harm our planet, like pollution and overpopulation, and learned about how people can make a difference. Following her love of science and fascination with the sea, Carlson decided that she wanted to become a marine biologist. She received a biology degree from the University of Missouri and then did graduate work in benthic ecology at Moss Landing Marine Laboratories, in California. While working on her master’s thesis, Carlson went to Antarctica to study icebergs and the ocean. But she soon began to realize that she felt stymied by having to focus on one thing, which is what a researcher may frequently have to do, rather than being able to engage with “lots of stuff,” which she knew was much more her style. “I didn’t want to become the world’s best expert on limpets, for example,” she said. She transferred to the science communication program at University of California Santa Cruz, where she took illustrating with “stellar teachers.” After graduating, she became the first web designer for Monterey Bay Aquarium, where she went on to work for 10 years, doing design and illustration work for the aquarium and aiding their efforts to inspire conservation of the oceans. In 2004, a year before she left her Monterey Bay Aquarium gig to move to Washington to be with her then-fiancé (now husband), Carlson attended the New York International Society of Children’s Book Writers and Illustrators Conference. There, she met a publisher who became interested in her work. Soon after, she got a job illustrating a children’s book about a giraffe called The Giraffe Who Was Afraid of Heights. This led to a new career path as a children’s book illustrator. “The bug bit me,” Carlson said. Today, Carlson is a freelance scientific illustrator, graphic designer, photographer, and writer with more than 25 years of experience working with scientists and educators. She is also a part-time communications manager at Hawai‘i Institute of Marine Biology. Among her many works is a book she illustrated called Ocean Seasons, about vegetation and creatures that are linked through the seasons, food webs, and habitats beneath the waves. 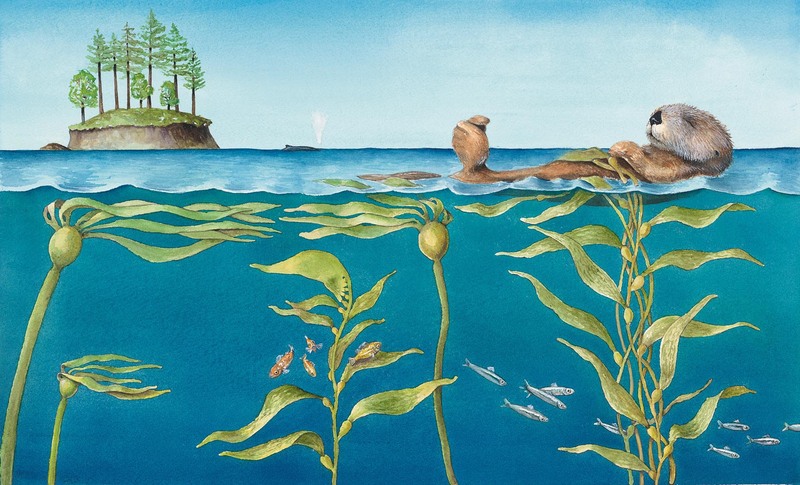 She also illustrated Sea Secrets: Tiny Clues to a Big Mystery, about research being done by the National Science Foundation-funded Long-Term Ecological Research Network. And she has written and illustrated a kids’ activity book called Where the Land and Sea Meet, which was done as an outreach product for the Census of Marine Life project and the Natural Geography in Shore Areas project, and has three children’s stories in development. In 2017, Carlson got to spend a month as the Artist-at-Sea aboard a vessel doing research for the Schmidt Ocean Institute, a nonprofit group that works to advance oceanographic research and facilitate sharing of information about the oceans. In that capacity, Carlson used technology being used by scientists — such as an instrument that can take images of particles contained in 5 mL (or 100 drops) of seawater — and created art such as detailed posters of phytoplankton. Most recently, Carlson’s artwork was selected to be a part of the juried GNSI art show, Visualize: Art Revealing Science, which will be on display at AAAS headquarters in Washington, DC, from July 16 to October 15. Being a scientific illustrator, much like being a scientist, entails an attention to detail and accuracy. 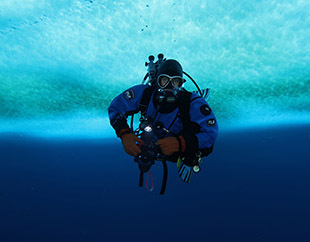 For example, when Carlson recently used a special plastic paper and pencil to draw underwater in Antarctica (which she traveled to last year as a recipient of the National Science Foundation Antarctic Artists and Writers Program), she did 33 dives to draw rough sketches and take many pictures and videos. When she came back up to the surface, she would take color notes and adds details to sketches , using the photos and sketches to get the drawings right. An ardent diver, Carlson perfected this underwater drawing technique in the much warmer waters of the tropics in Fiji. When she draws things for children, she has to strike a balance between something being scientifically accurate but still engaging for kids — something that’s not SpongeBob Squarepants but is more along the lines of Finding Nemo, which Carlson noted did have many accurate depictions of nature despite some characters being anthropomorphized. While she may take a ruler to record and reproduce something as precisely accurate as possible, or count every scale on a fish, or look at something on a microscopic level for a science book illustration, that level of detail isn’t as important as making larger details right and drawing something kids will connect to more easily. “If I need to draw a sea otter, I need to consider the audience,” said Carlson. “Do I need to count every follicle for a children’s book? No.” In short, science and accuracy matter, but too much detail may spoil the understanding and connection with the material for kids, whether it’s an illustration or text.